With the total tuition price of private college approaching $500,000 for newborns today, understanding how, when, and why to save for college is an essential financial planning consideration for parents. Making the right choice of a 529 savings plans can be the difference between affording a semester of tuition or the entire four years. I’m sure you have heard the popular saying, “You can take out a loan for college, but you can’t take out a loan for retirement.” It’s a common saying with a lot of merit. However, a 529 plan is the solution to save toward future education costs while also continuing to save toward your own financial future. You can do both and succeed in affording both with the right preparation and decisions now. Here is why you should open a 529 plan to save toward your child’s future education costs and how to select the right plan for you. With national student loan debt topping $1.5 trillion, there is a lot of debate about the payoff of a college education investment. While debate about the ultimate value of some schools and degrees continues, a college diploma can still open the door to a rewarding career and higher earnings over a lifetime. College graduates have much greater job security and career opportunities, particularly during challenging economic periods. With employment in the U.S. reaching a generational high, the segment of the population holding at least a college degree has a 2.4% unemployment rate while the segment with a high school diploma or less has a 6% unemployment rate. College Costs: A Never-Ending Bull Market? Unfortunately, the cost of higher education has increased dramatically over the last few decades, outpacing nearly all other expenditure categories. In fact, college tuition has increased on average 6.5% annually since 1983 (see chart below). Reasons for this sharp and sustained rise include more nonessential student experience spending to attract the best students, hiring more college administrative staff, offering less financial support from states, and raising college admissions for foreign exchange students who tend to pay higher college costs. Consequently, there appears to be little relief in terms of future college costs. The younger your child, the more college is going to cost. Looking at the chart below, if one adds up four years of college costs for a newborn today, it can represent one of the most expensive expenditures in one’s lifetime. Source: The College Board, 2017 Trends In College Pricing, J.P. Morgan. Future college costs estimated to inflate 5% per year. Fortunately, the 529 college savings plan is one of the best college savings tools to afford the skyrocketing costs of higher education. The 529 plan remains a very popular savings tool with over $319 billion dollars in assets saved by year-end 2017. Contributions and earnings in a 529 college savings plan compound federal tax-free and (usually) state tax-free. Plan withdrawals are also tax-free for qualified higher education expenses. And under the new tax reform laws, 529 plan funds can also be used on secondary education expenses as well. Qualified education expenses include everything from tuition and housing to books, computers, and other supplies. The account owner, typically the parent or grandparent, retains full control over the plan assets. The owner can also change beneficiaries (the student) or transfer unused assets to other immediate family members for college expenses. So, if your first child doesn’t use the 529 plan funds because they earned a scholarship, you can update the beneficiary to your second or third child to use the funds. Or you or your spouse can use them yourself for qualified higher education expenses. There is no income limit on contributions and no age limit on beneficiaries. Finally, most plans have very low investment minimums, which make them easy to get started. The 529 plan is the best college savings tool for most people in my view. However, the benefits they deliver can sometimes be significantly reduced by the fees that financial intermediaries charge for setting them up and administrating them. The plans, known as broker-sold plans, may charge upfront commissions that can cost upwards of 5% and can be in addition to fees for administrating the plans. 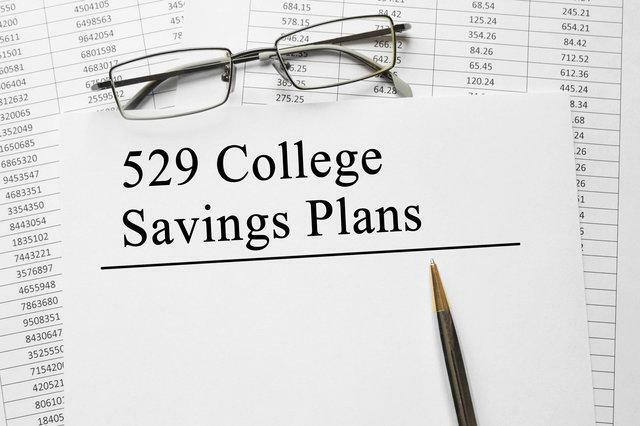 Broker-sold 529 plan fees can drain savings and earnings in the account that could go toward paying college expenses. A direct 529 plan can be set up and purchased directly from the state sponsored plan. Direct plans are offered in all states as well as some private colleges. Since these plans are purchased directly and not through intermediaries they tend to be less expensive especially since they do not carry upfront sales charges. The difference in costs between the two types of plans can really add up to a substantial sum of money. Take the illustrative example of Rickie and Bobby who are twins. When they were born 18 years ago, their parents decided to fund their college plans $10,000 a year every year until they graduated from high school. The parents used a broker-sold 529 plan for Rickie, while Bobby’s plan was funded with a direct 529 plan. As the table below shows, after 18 years Bobby’s direct 529 plan was worth substantially more than Rickie’s broker-sold plan. This differential in fees ($23K+) equates to well over two years of contributions. Also, the difference in overall plan balances between the two plans ($38k+) represents a full year’s tuition at many private colleges. Given this difference, why would anyone use a broker-sold plan versus the direct version? The key is to ask the right questions if you are working with an advisor to open a 529 college savings plan, including what the commission and fund expenses are and what value you receive from the advisor with the plan. Be certain to ask because if you don’t it may cost you a year’s worth of tuition! College 529 plans remains a powerful college savings tool for the seemingly never-ending increase in college costs. With a 529 plan, remember to invest early and often, and make sure you asset allocate properly as your child or grandchild approaches college. Finally, if using a broker-sold plan don’t let added costs drag down your progress toward your college savings goal unless you understand the clear value you receive in return. • Data about your transactions with us (such as the types of investments you have made and your account status). If you have any questions regarding this privacy notice, please contact us.